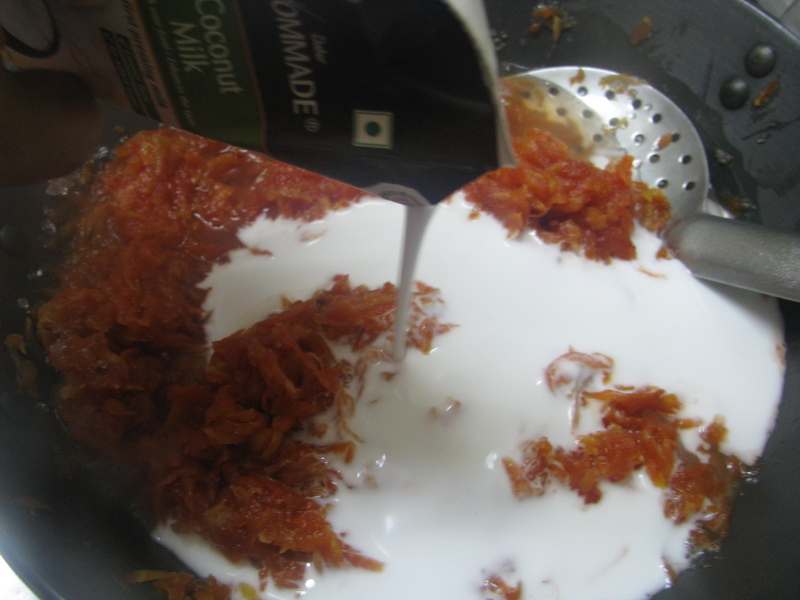 I always made Gajar Halwa with whole milk in a traditional way. But last Sunday few guests visited us and one of them was on vegan diet. To make Indian sweet dish vegan is little tough. I had around 1 kg carrot at my home at that time. So I tried out this Carrot Halwa without khoya, milk, ghee or condensed milk and it turned out very well. 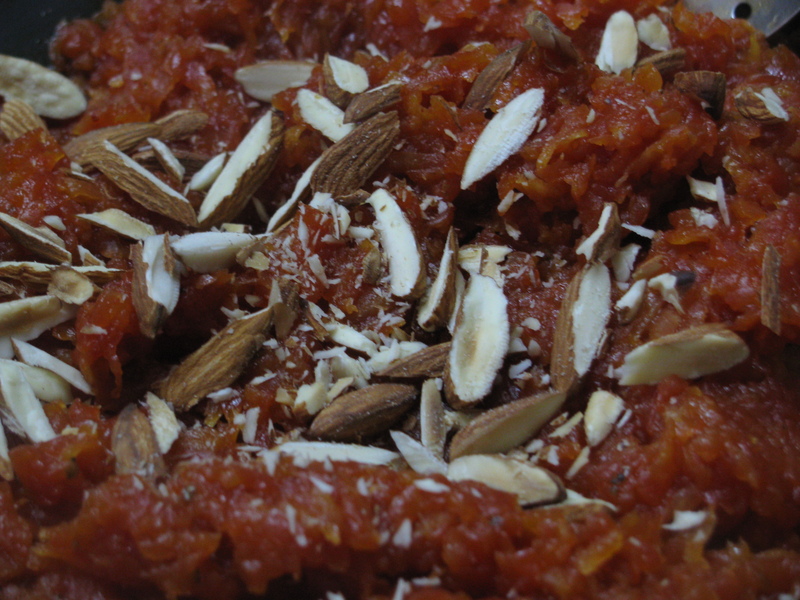 Last time in my gajar halwa recipe, I added coconut or almond milk to make carrot halwa vegan. But to make this vegan halwa we need to add lots of coconut milk or almond milk to cook the carrots. In this recipe I have added just 200 ml of coconut milk ( I used Dabur homemade coconut milk ) in 1 kg halwa. 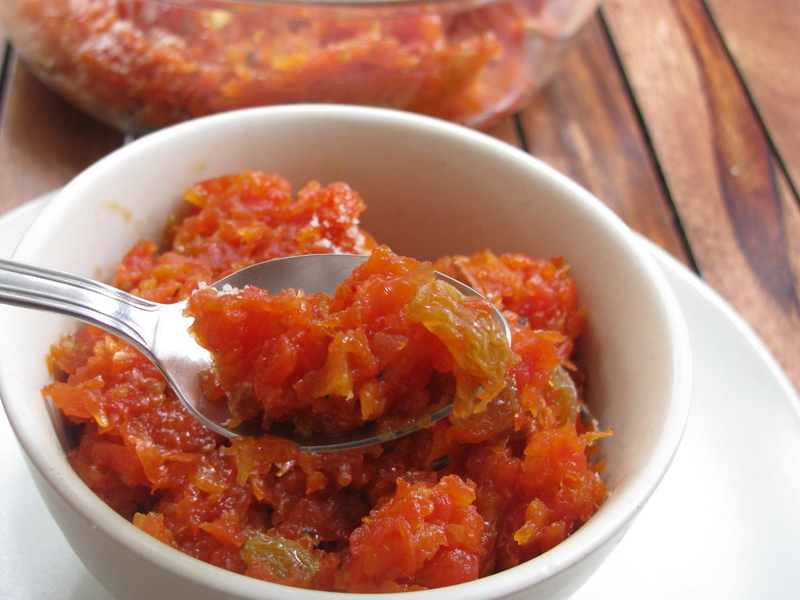 This carrot halwa is very low in calories as compared to the carrot halwa which is made from whole milk, condensed milk or khoya. 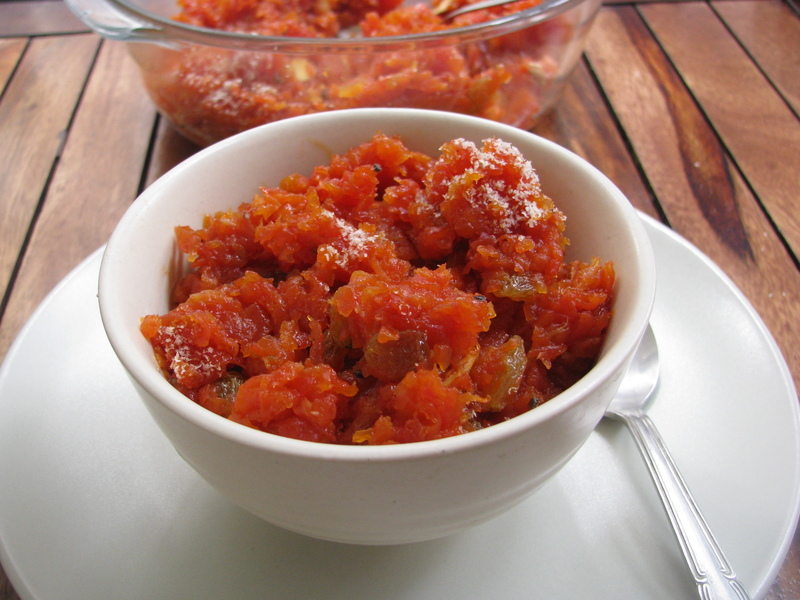 I have also cut some calories from this carrot halwa by not adding a single drop of ghee or oil. 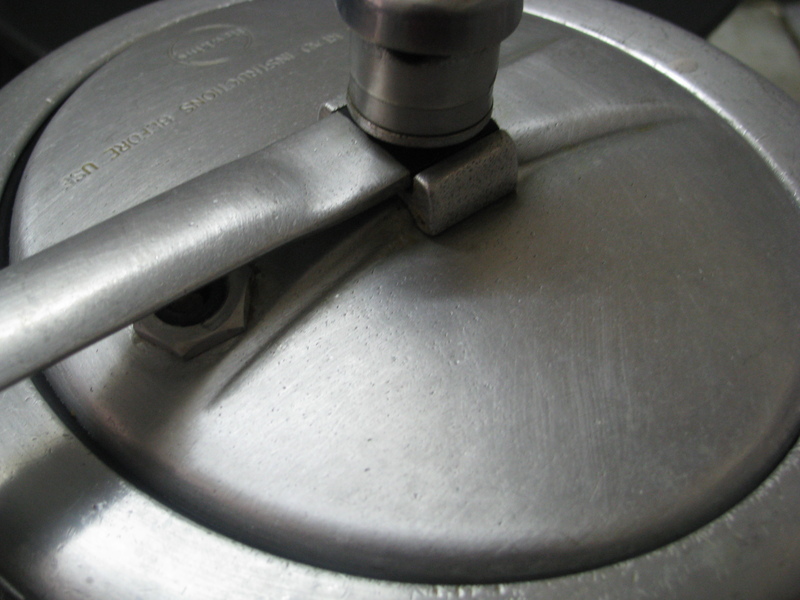 The coconut milk (just 200 ml !) 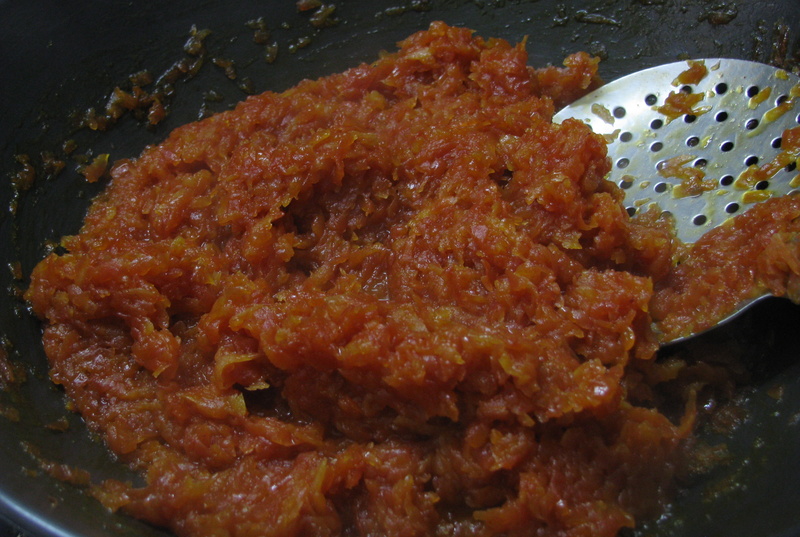 is the only source of fat in this carrot halwa. Well 200 ml Dabur coconut milk contains around 224kcal and this halwa makes around 6 servings. Coconut milk has many health benefits if eaten in right quantity and if you are vegan this is a good option to make many Indian desserts. In place of coconut milk you can also use almond milk to make this halwa. I have added sugar to make this halwa, you can also add sugar free natura, honey or jaggery to it. Most people don’t prefer sugar free but honey and jaggery are really good options to make it healthier. If you are diabetic, I suggest to go for sugarfree. 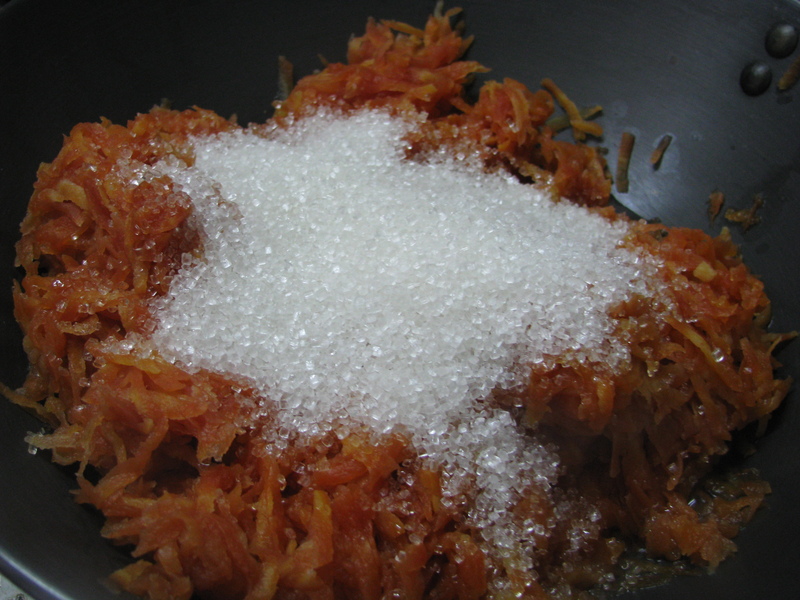 I have used fresh red juicy carrot to make this halwa so I added less sugar. Also winter carrots (delhi gajar) are sweet and juicy. 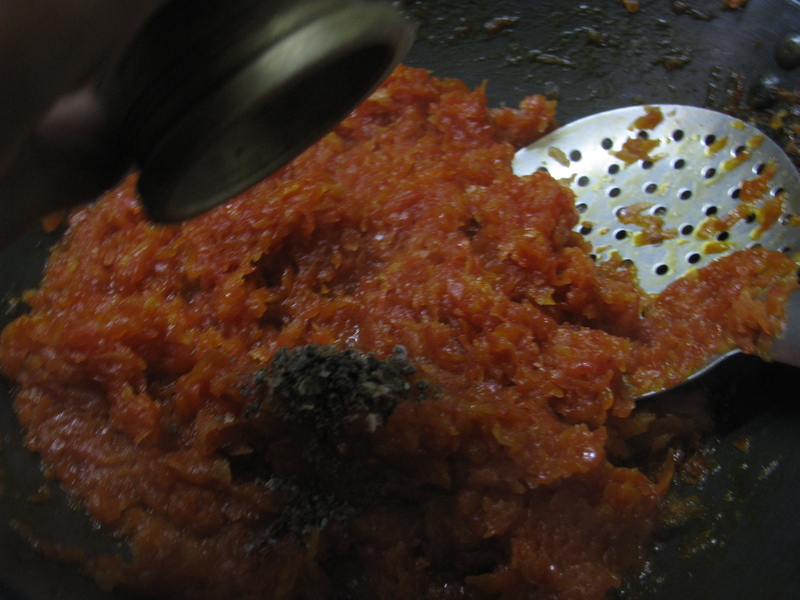 Cooking time for gajar halwa by this method takes less time as compared to the halwa made from milk. 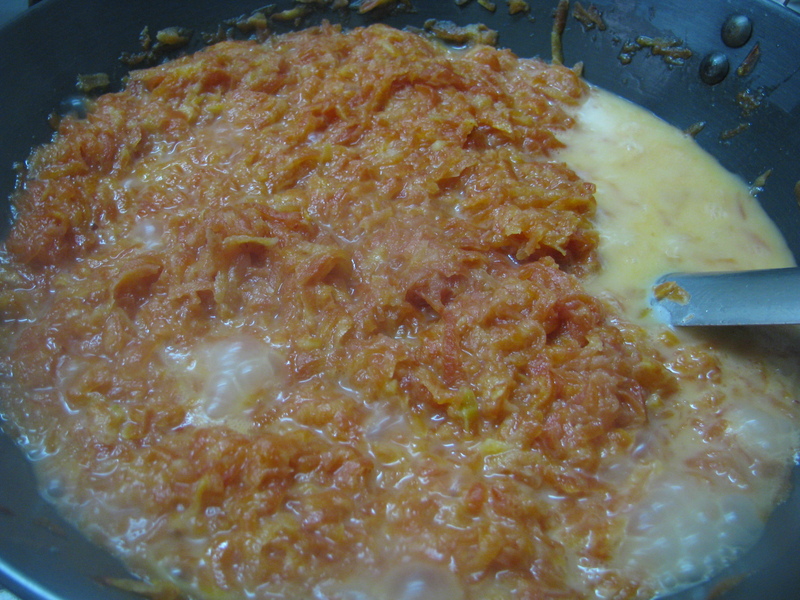 Slowly cooked carrot halwa cooked with milk and ghee tastes awesome but for people who are vegan this tasty carrot dessert is a feast. 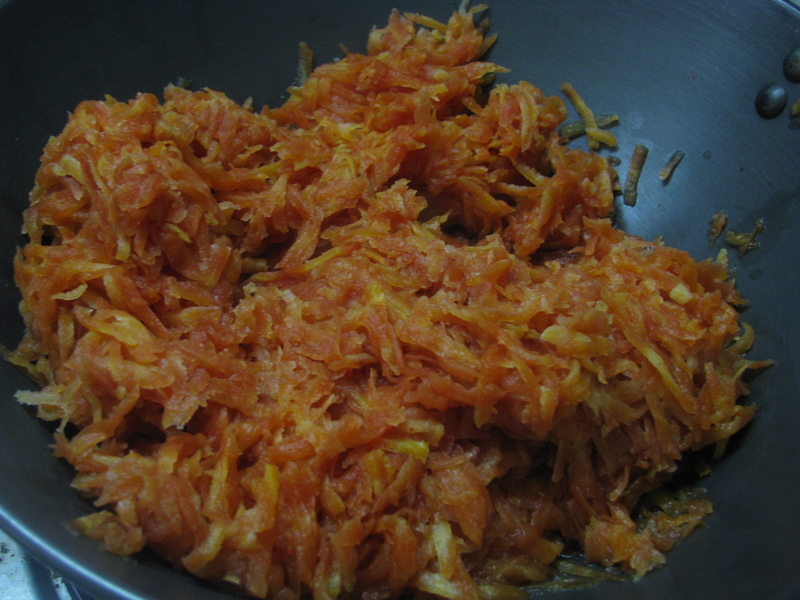 I have grated the carrot with hand grater, you can also grate it in food processor. If you are a bachelor and don’t have a grater, you can cut carrot into small pieces with knife. Well it will take more time as compared to grater. 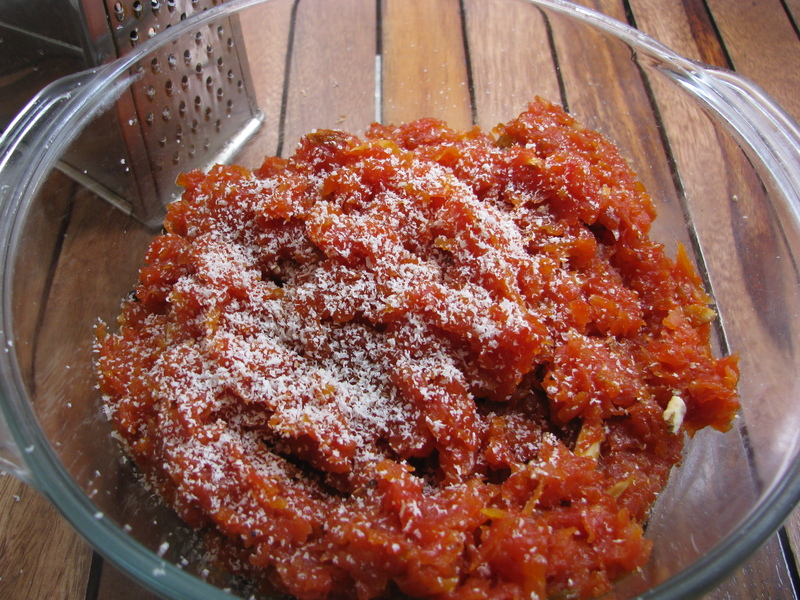 I have explained step by step directions to make vegan carrot halwa at home. 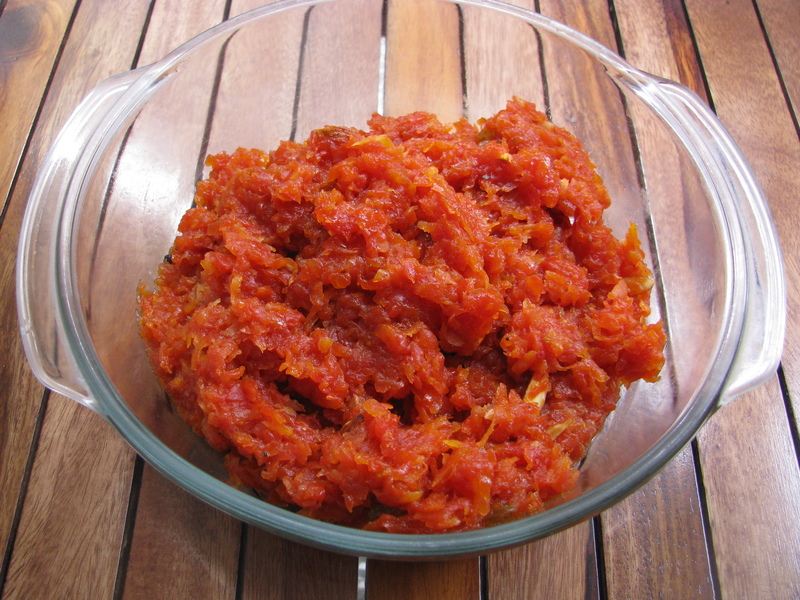 Do share your suggestion of how you make carrot halwa without milk, khoya or condensed milk . 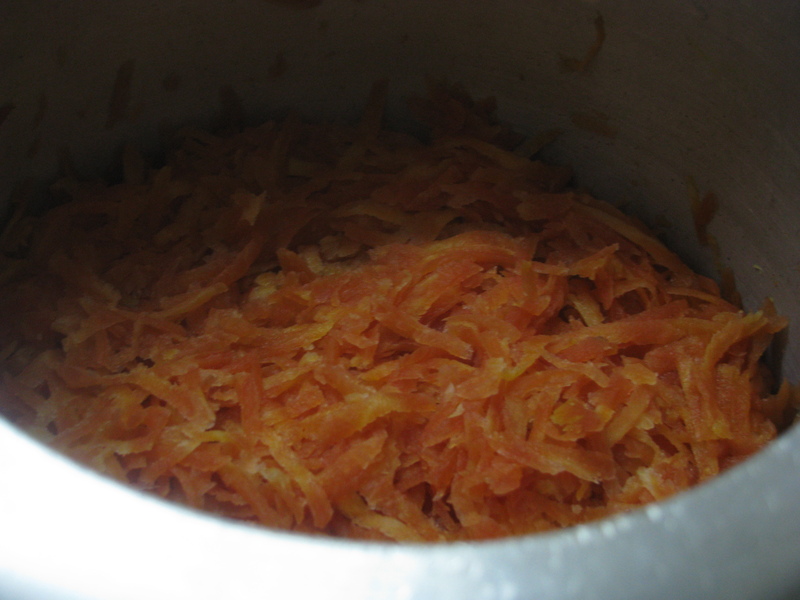 Wash carrot (gajar) nicely.Remove its skin with peeler, and grate it with thick grater. Cook this carrot in pressure cooker with 1 teaspoon water upto 1 whistle. Carrot will ooze lot of water, use this carrot stock for making soup. 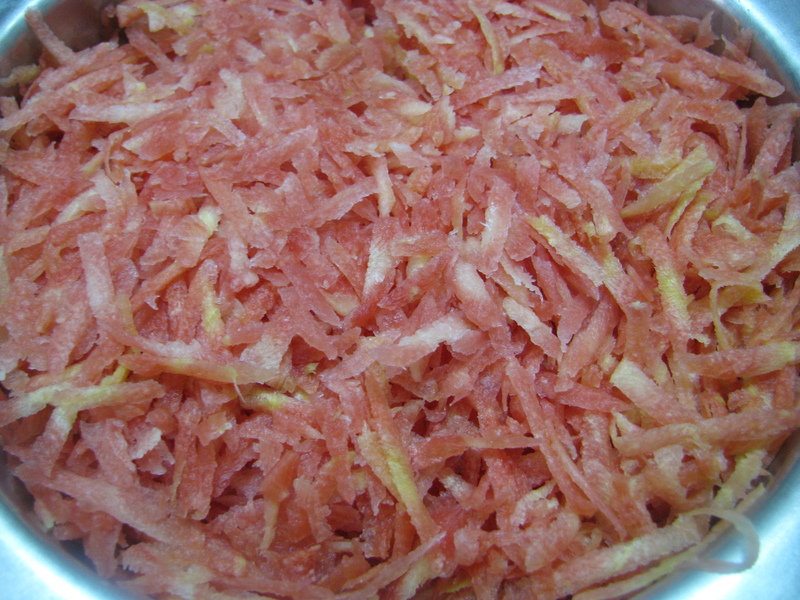 Don’t add it to halwa . Remove the cooked carrot in khadhai. Add sugar and keep it on flame. boil mixture on medium to high flame. .
After 10 minutes, continue stirring until all the coconut milk has evaporated. Add roated almonds and cashews. I have roasted them in microwave . Garnish it with grated almond. 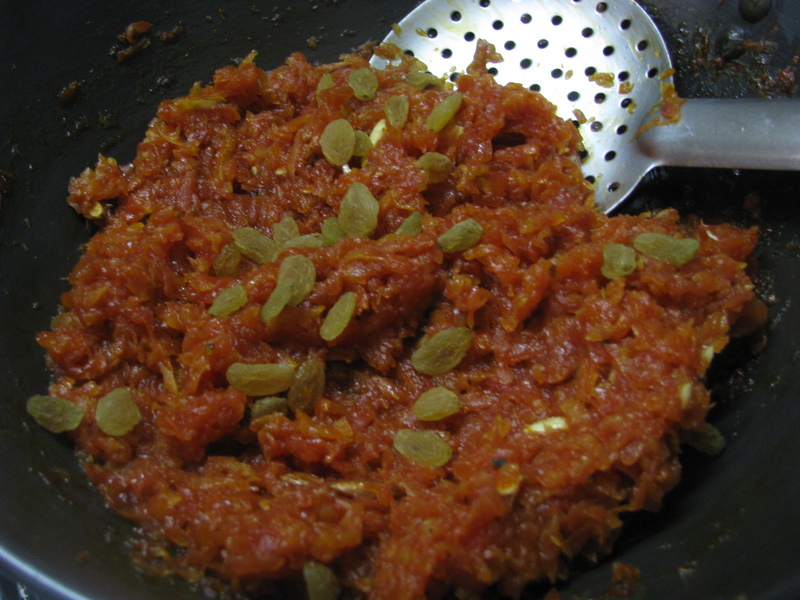 Serve this carrot halwa hot or chilled.